Apple announced two new iPad Pro models at its "creativity" event in Brooklyn, New York. The new models promise better performance, Face ID, and a new design among other things as the company looks to blur the lines between how we work on the go and how we keep ourselves entertained. But are they any good? Pocket-lint was at the New York event to see how the new iPad Pro 11 performs. Apple has constantly refined the iPad Pro design, but this is the first year that it looks to be considerably different from the standard iPad. Taking more angular approach to the form factor, the design is reminiscent of the iPhone 4 and 5. The new 2018 iPad Pro loses the chamfered edges, is even flatter than before and in the case of the 11-inch model, now delivers much more screen for the form factor. It measures 247.6 x 178.5 x 5.9mm and weighs 468g. In the flesh the device is really thin - it is only 5.9mm thick - and that makes a huge difference. It's noticeably thinner while still having a good distribution of weight and that means it doesn't feel as heavy as it perhaps should at first glance. Having used the iPad Pro 10.5 extensively since launch, the new 11-inch model comes in the same physical footprint as before, but now gives you more screen space. It's a similar trick to Apple's recent change on the iPhone XS Max from the previous Plus sized iPhone models. Same overall size, bigger display. The bigger screen size is made possible thanks to the reduction in the bezel around the edges, which makes a massive difference to the feel of the device. There's a greater sense of an edge-to-edge experience - complete with new curved rather than square corners - and yet still enough room to fit in the new Face ID cameras. The thinner bezels might mean that you struggle to understand which way the iPad should be held, and we witnessed a number of the "demo people" at the event hunt for the power button. Of course, iOS automatically rotates to fit the way you're holding it, upside down or not, and having used the iPad Pro 12.9 now in the office (see our review), we've found it's not as big an issue as we thought it might be. The new iPad Pro models, like the new iPhone models, feature Tap to Wake. Who needs a power button? It might be dubbed "Pro" but according to Apple that means you don't need a headphone jack. There's no wireless charging either, but you do get USB-C instead of Lightning for quick charging and adding new accessories - more on that in a bit. The iPad Pro 11-inch model also retains the same four speakers found in the 10.5-inch model, although they've been upgraded to provide a richer sound quality. Something we've been unable to test as yet, but if they perform the same as the speakers found in the 12.9-inch model they will be ample for listening to music, watching Netflix, or using it for presentations. Apple has increased the physical size of the display but the pixels per inch (i.e., the quality) hasn't reduced. It's still the same 264ppi and aside from now featuring rounded rather than square corners isn't noticeably different from what we could tell when we looked at it at the Apple event in New York. 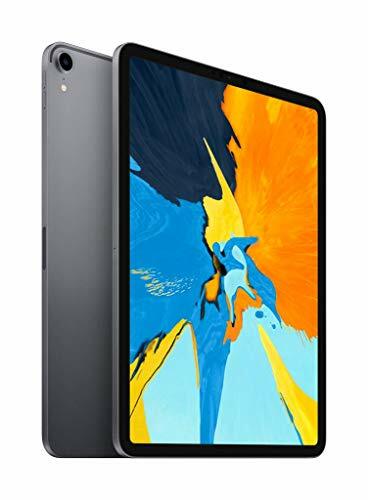 The iPad Pro 11-inch model, like the iPad Pro 10.5-inch model, has a fully laminated display, P3 wide colour display, True Tone technology that changes the screen colour according to the ambient light, and ProMotion technology. The move to rounded corners means third-party app developers will have to update their apps to make full use of the new screen size. Currently apps that don't update will see a black border around the edges as to not cut off any buttons or features. The biggest change to the iPad Pro's cameras is the addition of Face ID. While that will appeal to those looking for a quicker way to unlock their iPad in the same way users have been doing on the new iPhone, it also means that users will be able to use Animoji, Memoji, and Portrait mode on the iPad for the first time. Unlike the iPhone X range that limits you to only using Face ID in portrait, you'll be able to use the iPad Pro Face ID in both landscape and portrait modes, and yes portrait includes the camera being either at the top or the bottom - when at the bottom it tells you to look down at the camera. Even better for Smart Keyboard users, you'll just need to tap on the spacebar to wake the device and unlock. Both the front facing 7-megapixel camera and the rear 12-megapixel camera feature Apple's new Smart HDR technology, however surprisingly the iPad Pro 11's camera loses optical image stabilisation as found in the 10.5-inch iPad Pro. We're interested to see if that makes a difference to picture quality performance when we get one in the office for review. On the video side of things you'll get 4K video recording at 30fps or 60fps with slo-mo video support for 1080p at 120fps and 720p at 240fps. As you might expect, the iPad Pro gets a considerable power boost in this new guise. It's pretty much a laptop in terms of performance. Our time was brief with the new models, but from what we saw we are already impressed and our time with the 12.9-inch model, which features identical internal specs, shows us that there shouldn't be a problem with the iPad Pro 11 either. Both iPad Pro models feature the same Apple A12X Bionic processor that is an evolution of the new hardware found in the iPhone XS, designed to give you the power to work on the move. Apple state the models are 35 per cent faster for single-core performance tasks and 90 per cent faster for multicore performance tasks than the 2017 models with 2x faster graphics. In real terms Apple says that the new iPads deliver the same graphical power as the Xbox One S - a bold claim - although now we just need the games to match. All that power isn't just for games, although we've been playing Asphalt 9: Legends on the iPad Pro 12.9 and it's great, it's for editing photos, processing video, and augmented reality. At the event we tested out a number of different AR experiences and all ran very smoothly. Storage options will be 64, 256, 512GB, all the way up to 1TB and like the new iPhones will come with nano SIM and eSIM support although not dual SIM. We've yet to test the iPad Pro 11 in the office, but on first look it felt much faster than the 10.5-inch iPad Pro we've become used to using on a daily basis. Battery life is a claimed 10 hours for light use like surfing the web or watching videos or listening to music, while that goes down quickly if you're using cellular data, charging devices via the USB-C or performance heavy apps. We'll be sure to give the new iPad Pro a thorough test when we get it in the office. Moving to USB-C also opens up a range of possibilities way beyond what Lightning has been able to offer, although we suspect at the start what you can do with the new connection will be limited. At the event we've seen you can connect SD card readers, external monitors - for mirrored and dual view (if the app offers that) and talking to Apple staff understand you'll be able to connect Ethernet adapters for a wired connection, and if a third-party manufacturer offers an accompanying app, hard drive support to. To coincide with the launch, Apple is offering a number of different accessories to take advantage of the new port including a USB-C to Lightning Cable, a USB-C to Digital AV Multiport Adapter to connect a HDMI display and a USB-C to 3.5mm headphone jack. To go with the new iPad, Apple has created a new Apple Pencil. It changes its design moving to wireless charging, a built-in magnet to stick to the side of iPad Pro, and a new feature that will let you double tap to change tools within apps. While the size roughly stays the same, Apple has opted for a softer matte finish which feels better in the hand. There is a flat side to allow it to stick to the side of the iPad Pro and the magnet is strong enough that the pencil didn't fall off when we shock it heavily. Pairing is as simple as sticking it to the side of the iPad, although it's worth noting that the new Pencil will only work with the new iPad Pro models announced. It isn't backward compatible, but unlike before you can use the same Pencil with multiple iPad Pros. There's also a new keyboard. It now features a leather back to protect the iPad Pro when attached and connects via the smart connector dots that have moved from the side of the iPad Pro to the back. There will be two angles for different viewing types. However, you won't be able to contort the keyboard in a way to use it without the keys in front of you. It is a lot more stable than the previous Smart Keyboard. Apple has produced an iPad that we suspect many pro users will want and not just because of the increase in screen size, or the thinner design. There is so much here that blurs the lines when it comes to working on the go that it will pique the interest of those who have started to question why they need a laptop. We love the even more compact design, we love that Apple has moved to a USB-C connector, so you can plug in external monitors, and the move to Face ID is not only welcomed, it's a no brainer. We've yet to get the iPad Pro 11 in the office, but we suspect that for many users, this will be an ideal tool to replace many jobs that used to be done by a big, bulky, laptop.